The implementation of Vision 2021, the government of Bangladesh has taken various initiatives for the development of women and children. A huge part of the population are women and children. rights of women and children, empowerment and overall development is a key milestone in the implementation of government programs for incriminating. In light of the election manifesto of Women and Children Affairs Ministry has taken various measures to alleviate women’s poverty. Empower women, stop violence against women, trafficking of women, the protection of women in the workplace. If you want to apply for this job, you should submit your application within 15 & 26 November 2018. Women to increase efficiency by providing comprehensive training, employment, labor market participation confirmation, through small and medium entrepreneurs to patronize the extensive activities being conducted to ensure the economic empowerment. 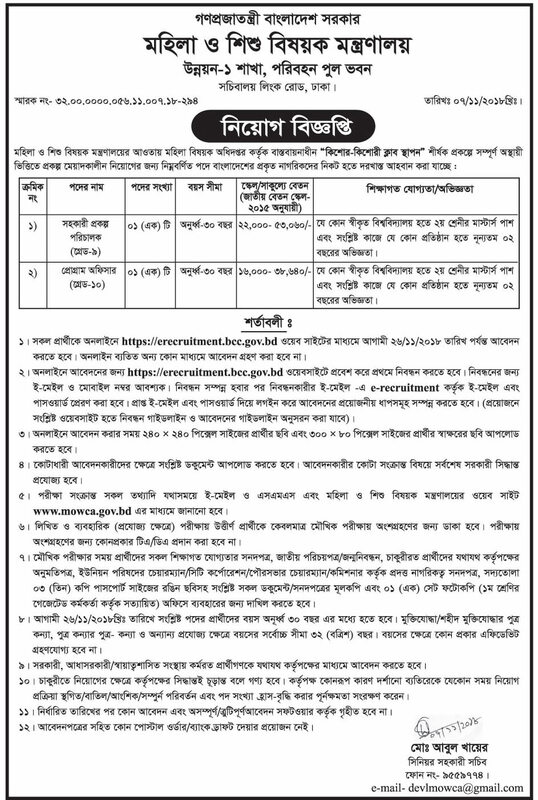 Ministry of women and children affairs MOWCA job circular 2018 has been converted to an image file, so that everyone can read easily or download this job circular . 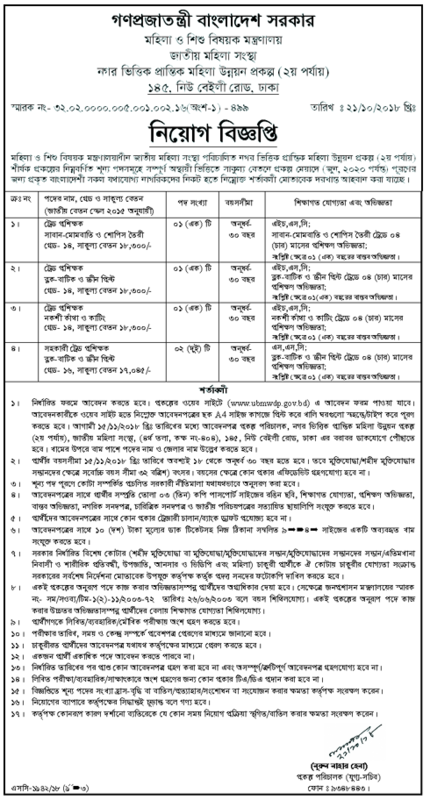 Ministry of women and children affairs job circular 2018 has been given bellow. ami hsc sesh korlam part time amon kono job hobe j korte pari pls akto bolen?